How do we capture the picture of the man? For thirty years I have been taught, led, and influenced by a man who very quickly became one of my heroes. Since I grew up in the home of a preacher, we kids learned early in life that preachers were very special men of God. Gus Nichols and B.C. Goodpasture were household names. In the surrounding area of south Atlanta there were men like Forrest Chapman and Virgil Richie. To a young boy who heard only his father preach regularly, these men were men of renown. I shall never forget when Virgil Richie called the house one day and asked to speak to me. He asked if I would be willing to come and lead singing at the Riverdale congregation the next Sunday morning and Sunday night. He said they would pay me $15.00 if I would come. I thought, "You mean someone would pay me to come lead singing in a worship service? "That was like putting candy on ice cream to me. I felt so honored. Before long I was leading the singing every Sunday at Riverdale, and for the first time in my life, I was hearing another preacher, other than my dad. To me this was different, but fascinating. Brother Richie's sermons and classes were always Bible-filled and understandable. My appreciation for this man of God grew to a new height with each passing Lord's Day. At that time I had never met Virgil's brother Charlie, who also preached in the Atlanta area. Neither did I know Virgil's connection with the early restored church in Atlanta, with men like S.H. Hall, B.C. Goodpasture, and H. Clyde Hale. In fact, it was Brother Hale who baptized Virgil in 1935 back in the early days of West End Church of Christ. It was Brother Hale who had asked him, not long after his baptism, to preach for his first sermon. Recollections of the occasion were things Brother Virgil often reflected on. He said that within just a couple weeks of his baptism, it was on Sunday night, Bro. Hale came up to him and said, "Virgil, you will be preaching and extending the invitation this Wednesday night." He responded, "But, Brother Hale, I don't know if I can do that." Brother Hale said quickly, "Sure you can, be ready." And with that he just walked away. He never forgot it. When Brother Hale went and revived the work at Pleasant Grove, in Marietta, Georgia (now Piedmont Road Church of Christ), in 1937, it was Virgil and his brother Charlie that were asked to go and preach, and help to make the work stable. In the early 40's the Marietta work would not have survived had it not been for the "Richie boys." In the early 1950's Virgil attended David Lipscomb College. 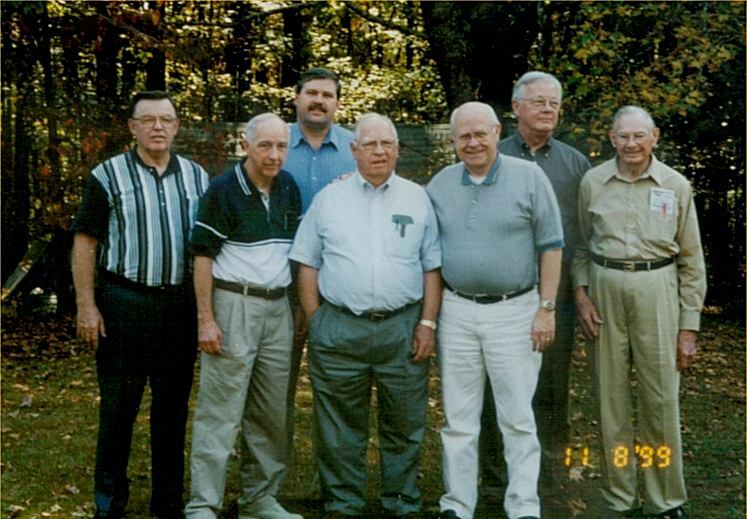 Forrest Chapman, Cal Arquitt, Edgar "Junior" Srygley, Jimmy Bays, and others were together sitting at the feet of men such as Batsell Baxter, Ira North, Batsell Barrett Baxter, and others. Virgil had a wonderful appreciation for singing. He was a song leader, and knew good singing when he heard it. While at Lipscomb he was a judge in a song-leading contest held in the high school. Competing in the contest was among others Pat Boone and his little brother Nick. 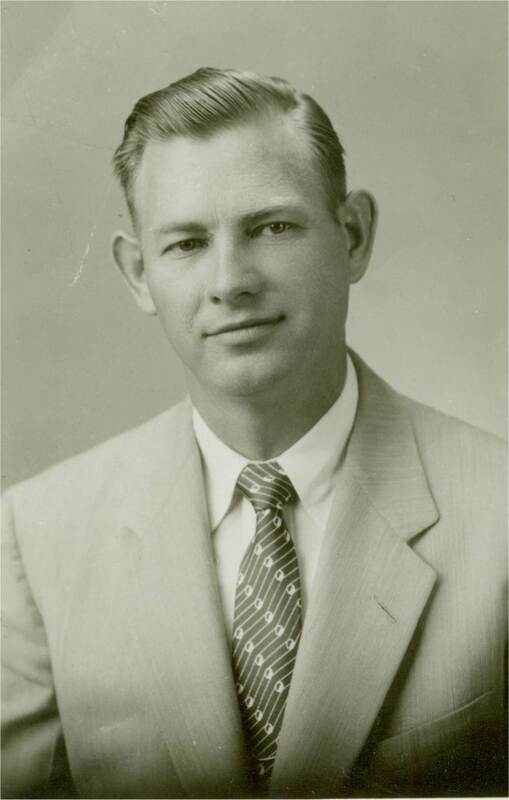 After college he served the Lord by preaching in Spartanburg, South Carolina, 1951-1952. 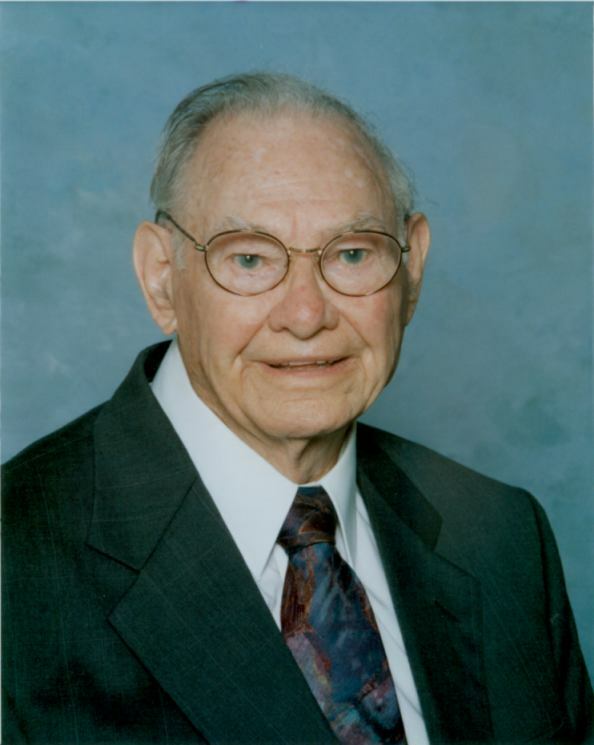 Then he moved to Gallatin, Tennessee in 1953 and was the first full-time preacher at the Hartsville Pike Church. Later he moved to Macon, Georgia, 1955-1959, and then moved back to Spartanburg for a brief time, working with the church there. He served a few years in Rockmart, Georgia. He returned to the Atlanta area in the 1960's to work with the little congregation at Riverdale. A number of our members grew up at Riverdale. Brother Virgil was their preacher. He baptized some of the, married some them, was there when some of their babies were born, and helped them bury some of their most special family members. Brother Virgil knew the Bible. He had a wonderful ability to quote scripture. When he preached you knew you were getting the truth. He loved the truth. He fought for the truth. While in South Carolina he fought against the unrest brought about by the ultra-conservative, "anti" movement as it was called. When the congregation at Riverdale disbanded at the end of 1997, the Richies joined us here at Fayetteville. It was not long before Virgil became one of our elders. He served us faithfully for six years. He picked up and took part in every way possible. He never declined when asked to preach. He taught Bible classes. He was always willing to help in any way. He visited hospitals, and held weddings, preached funerals, and was a constant among the Fayetteville family. On October 13, 2003 Virgil turned 90 years of age, and we honored him for his near seven decades of service both as elder and preacher. What a surprise it was to him, yet in his humility he accepted the plaque we gave him with much reservation. One section of the plaque is fitting: "You Have Been Our Messenger, Our Teacher, Our Shepherd, And Our Example Of Faithfulness. You Have Led Us To Behold The Lamb Of God And Seek The Eternal Glory He Offers To All People." Virgil went Home last Thursday morning about 5:00. He had been fighting a bout of bronchitis, as he has for the last two or three winters. His departure was quick and without much suffering. We bid him farewell yesterday, laying his remains to rest in Sherwood Memorial Park and Gardens in Jonesboro, Georgia. 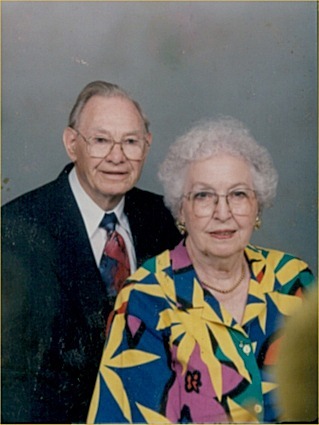 He is survived by his wife of many years, Lurlene, their daughter Mariellen and her husband, David Jackson. We rejoice over his victory, and yet we are filled with sorrow at his departure. He was one of my life-long heroes. His departure reminds me of my path, and encourages my longing for the great reunion around the throne of God. Audio Lessons Are On Realplayer Format. Virgil Richie is buried in Sherwood Memorial Park in Jonesboro, Georgia. South of downtown Atlanta, Georgia travel south on I-75 past the southern I-285 Loop interchange. Travel another three miles to Exit #235, Tara Blvd. Hwy 19/41. Travel south on Tara Blvd. about a mile and the cemetery is on the right. Enter the first entrance, and head to the office in the rear of the cemetery. The Richie plot is just south (to the left of) the building. The grave will be facing toward the west.